When the Samsung Galaxy Tab 2 (10.1) and its smaller, 7-inch counterpart were unveiled, we were promised to see them on the shelves by the end of March. Well, at least in the U.K., that is. Obviously, that didn't happen, so those of you that were hoping to grab one are probably wondering what is going on. Today, Samsung confirmed that the launch of the tablets will be delayed. Both the Samsung Galaxy Tab 2 (7.0) and Galaxy Tab 2 (10.1) will be released in the U.K. towards the end of April, with other markets expected to follow suit soon after. Details as to what exactly is causing the delay were not given, but a company spokesperson said that Samsung and Google still need some time to make the Android 4.0 Ice Cream Sandwich platform run smoothly on both devices. However, you can rest assured that the slates will launch with ICS out of the box. 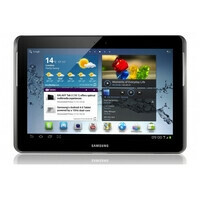 For more information about the Samsung Galaxy Tab 2 tablets, just follow the links below for our previews. These guys can't even compete with the RIM Playbook let alone the iPad. What a shame Samsung is rehashing the Tab 10.1 and calling it the 2. They really aren't trying to be competitive if the 2 doesn't have Quad-Cores and 1080p. I still wonder who will be the first to offer up 2GB of RAM already. If I'm gonna run a beast of a tablet that could be used as a laptop replacement then I'm gonna need it to be beefier in all areas. iOS and Android tablets are not laptop replacements...i bought iPad2 last year and found it to be waste of money (for me at least)...and now I am waiting for win8 tablet. I'd like to see this pinned against the Note 10.1 for comparison. Look at specs of both...it seems samsung is giving up on tablet business...and clearing up inventory by calling them galaxy tab2. ^Dude... WTH is wrong with you?